Technology has fast become a buzzword for HR, posing challenges yet creating opportunities. Priya Sunil speaks to recruitment leaders across a range of organisations to uncover real-time cases of how AI, machine learning and other tech platforms are disrupting talent acquisition. Just over a decade ago, recruiters spent hours on end flipping through stacks of resumes, paid hundreds of dollars to post a print ad in the local newspaper, and even had to squeeze in multiple interview sessions with tens of candidates to find suitable hires. Fast-forward to today, and (almost) gone are the stacks of papers – recruiters are virtually flipping through resumes online instead. They no longer have to fight for ad space in the papers because they are posting job openings online and reaching a wider mass. Employers are also tapping on artificial intelligence, online job portals and social media to facilitate a shorter and smarter recruitment process. In this feature, we speak to recruitment leaders across Singapore and Malaysia – DBS, PwC Malaysia, Tele-centre Services, Credit Suisse, and Global HR Consultant Cordero Davis – on how they have harnessed technology in talent acquisition, the bumps and learning along the way, and their outlook for 2019. 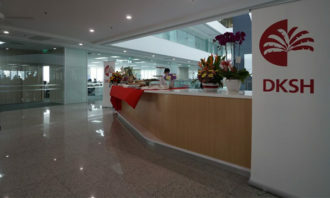 In June 2018, Asia-born financial services group DBS became a Southeast Asian pioneer by introducing a virtual bank recruiter called Jobs Intelligence Maestro, JIM for short. The brainchild of Singapore start-up Impress.AI and DBS’ talent acquisition team, JIM, powered by AI, was built with a view to increase the efficiency of hiring wealth planning managers. According to James Loo, Head of Talent Acquisition Group, Group Human Resources at DBS Bank, pre-screening processes such as reviewing resumes, collecting applicants’ responses and conducting psychometric assessments are now automated thanks to JIM. Aside from JIM, DBS also leverages data analytics to hire high performers and reduce attrition rates, a concept agreed upon by Global HR Consultant Cordero Davis. For Davis, it is important to track accurate data and leverage analytics to create the best internal and external recruitment experiences. 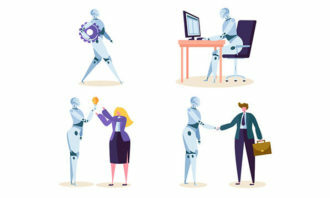 “AI allows me to successfully influence positive recruitment changes with data and create effective interviewer training to successfully hire the best talent for each role,” he says. Across the straits, professional services provider PwC Malaysia has developed online applications for candidates that allow its recruiters, based in Kuala Lumpur, to recruit remotely. In fact, for a new team of trainee associates, there was only one trip required, when its recruiters were physically present on-site to conduct the interview session. The consulting firm backs this up by harnessing the power of social media (Facebook ads, Twitter, LinkedIn), online collaborative tools, online forms and e-newsletters. AI allows me to successfully influence positive recruitment changes with data and create effective interviewer training to successfully hire the best talent for each role. Similarly, Aldrina Thirunagaran, Vice President, Human Resources, Virtual Recruitment Lead APAC at financial services firm Credit Suisse, champions new channels, technology platforms and partnerships as integral components of the firm’s virtual recruitment strategy to expand its reach to interns and graduates globally. Meanwhile, a fuss-free and straightforward process is employed by Madhavan Charles, Talent Acquisition Manager at customer service provider Tele-centre Services, wherein the firm posts ads on several job portals such as Jobs Bank and JobStreet, as well as on social platforms such as Facebook and LinkedIn. There is no doubt technology can take the weight off the shoulders of recruiters. For example, a 2018 CareerBuilder survey revealed 37% of employers who used social networks to source candidates found useful information that supported their qualifications for the job, thus leading to better hires. Among our interviewees, PwC Malaysia has been able to reap multiple benefits from virtual recruiting – primarily, recruiters being able to work and access the information they need from anywhere and at anytime. 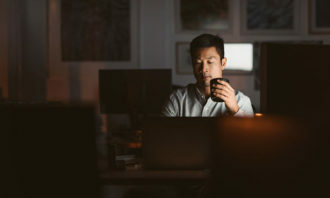 This not only gives them flexibility in a job that traditionally had them bound to a desk all day and shifting through hard-copy applications, but also allows them to integrate work and life seamlessly, especially for those raising families. “One of our recruiters even had a flexible work arrangement where she came for half a day, four times a week. Despite her reduced office hours, she was still able to fulfil her responsibilities,” says Nor Sherriza, Lead, Employer Branding & Talent Acquisition at PwC Malaysia. 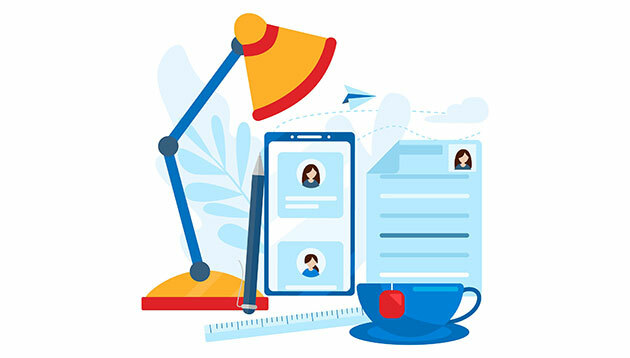 Additionally, going virtual helps the firm track the high volume of applications, while maintaining the digital history/ footprint for each applicant. “Even if the recruiter has changed over time, the database remains and the current recruiter is able to view the applicant’s history and make an informed decision,” she says. While talking numbers, Davis says with the help of automation and chatbots such as Mya, technology has benefited companies by increasing hiring productivity by 75%. “This allows recruiters to focus the rest of their time on building impactful candidate relationships, align with hiring managers, and attractive employer branding,” he says. Overcoming the challenges: A friend or foe? As efficient as technology has been in recruiting, it has brought along its own set of challenges – the first of which is the missing link to a human element, a point agreed upon by three of our interviewees. In line with this, a 2019 trends prediction by Korn Ferry revealed that despite AI’s beneficial qualities, care must be taken that using AI doesn’t undermine efforts to boost diversity. For example, even when resumes are anonymised, AI can still embed gender biases. To address this, recruiters should feed the AI with non-partial data that highlights success factors. This way, AI can be trained to look for skills needed rather than subjective modifiers that may be biased. Finally, while the usage of online job portals has allowed companies to post ads for vacant job roles and make the application process straightforward, it has also resulted in a number of applicants taking it for granted. How do we tackle this? Provide applicants with an online assessment. “Applicants who aren’t genuinely interested think twice about going through the effort of answering a test and will tend to drop out thus saving our recruiters time and effort,” she adds. From these interviews, it is clear technology has played a huge role in evolving recruitment – and it will continue doing so. It is, however, important recruiters remain mindful of maintaining a balance between the technological aspect with a human touch. “Although technology helps us achieve rapid hiring goals, the human-like recruitment experience cannot be fully replaced by technology and that’s the fear we tackle while growing companies at scale,” Davis concludes. The top earners were those with a bachelor of science in computer science in real-time interactive simulation, bringing in a month..